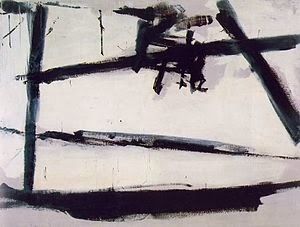 To help kids develop a love of art history this week I introduced my preschooler the works of Franz Kline. All children begin to express themselves by using line. Given a writing implement all kids scribble and upon examination of the lines the kids draw it is often possible to determine what the young child is feeling. For instance, vertical lines often indicate strength and purpose, whereas horizontal lines are more calm and serene. Bold, diagonal, or jagged lines can connote agitation, action, or anger; curvy lines tend to suggest something whimsical or serious. 1. Show the kids reproductions of Franz Kline’s black and white abstract compositions by clicking this link or by clicking here and see an example above to the right. Discuss the kids of lines used. 2. 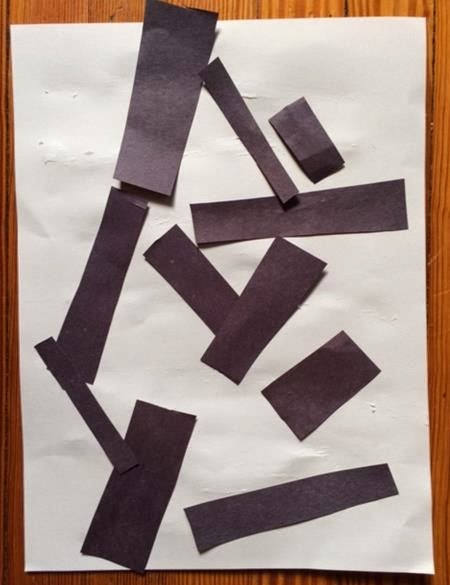 Have the kids cut lines of different widths and lengths from black paper. 3. Have some fun showing them how to hold the black lines of paper they cut out in a fist and allow them to fall and spread them on the white paper as they open their fist. 4. 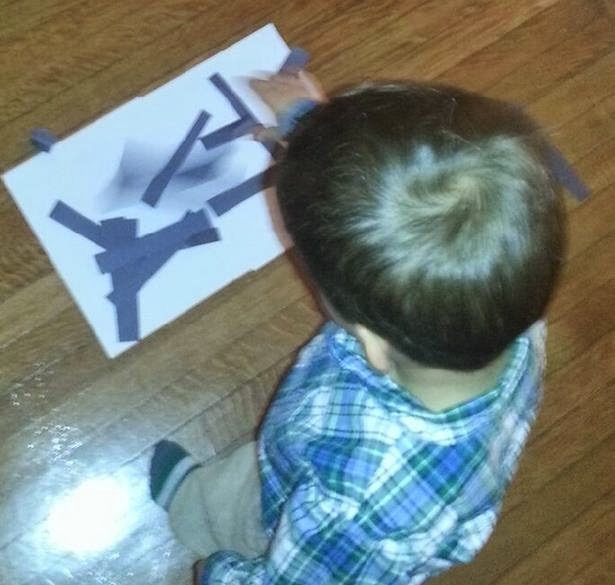 Have kids paint glue onto the white paper and place the white paper on the floor. 5. From a standing position have the kids drop the black lines onto the white paper. Have the children try this several times until they get the design they like. 6. For more fun with lines try this activity with pretzels, twigs, straws, or licorice sticks.